Nothing beats the feeling of owning a cat that’s healthy, bubbly and generally well taken care of. In order for that to happen, though, it’s important to constantly trim their hair. Persian and Himalayan cats are particularly top candidates of this grooming art and that’s because they tend to grow long hair that requires routine maintenance. The only issue with cat grooming is that some cats tend to be choosy and, therefore, the last mistake you want to make is to end up choosing the wrong tool for the job. This is why it is extremely important to invest in the best cat hair clippers and in the following few lines, we’re going to provide you with a quick guide on how to go about this. Which One is the Best Cat Clipper for You? They come in all shapes, colors, and sizes. But as it turns out, finding a clipper that delivers outstanding results on each and every trimming session requires a bit of research. Luckily, if you’re reading this write-up, our experts have compiled the latest cat hair clipper comparisons aiming to help you make an informed choice. What would you want to find in your next cat hair clipper? A powerful but quiet motor perhaps? Well, if you’ve just answered yes to that question, chances are that the Wahl ARCO kit will meet your expectations. The kit is made up of a variety of blade sizes (#9, #10, #15, #30 and #40). Being a 5-in-1 machine means that you can experiment with any of the 5 blades and pick the one that delivers the perfect trim on your lovely cat. Best of all, the machine is designed to deliver 5,500 strokes per minute thanks to its built-in motor which operates incredibly quietly. You see, the problem with noisy motors is that they easily irritate pets. Therefore, we’re glad to report that the Arco clipper from WAHL prevents this from happening. Above all, this clipper is lightweight and cordless – which in other words means 100% freedom to shave every part of your kitten’s body even if they’re constantly moving around the house. Last but not least, we love its battery – it’s actually a dual-charge battery pack which keeps you running for twice as long. Comes with 2 powerful NiMH batteries. Packaged in a soft zippered pouch for easy storage. Free blade oil and blade guard is provided. Its housing feels rather cheap for a product of its price. Speed is an important factor to consider when trimming a cat’s hair and that’s because cats are quite impatient. To avoid wasting their time and, therefore, irritating them, we’d recommend going for something as powerful as the Bravura from Wahl. Capable of producing 5500 strokes per minute and backed by a powerful lithium-ion battery, this gadget is a perfect match for any quality-conscious pet owner. Just like its sibling the Arco, this one comes with a 5-in-1 fine blade which is perfect for trimming at different lengths (#9, #10, #15, #30, and #40). Above all, it’s light in weight which is a good thing if hand fatigue is always a concern to you. Another unique feature of this budget-friendly cat clipper is that it comes with an innovative constant speed control feature. So, whether you want to trim fast or just take your time – this will not let you down. Its battery is also rather powerful and it functions for a cool 90 minutes per charge – whilst overseeing a quiet and low vibration operation. Talk of hitting two birds with one stone! The wide variety of shaving blades. Doesn’t come with dual batteries. It tends to get hot if you use it continuously for over 60 minutes. Are you looking for a cat clipper for your medium duty pet furs? 9484-300 Wahl Professional is designed to groom, trim, clip fine to medium pet’s hair and fur. It is used for grooming the entire pet’s body including face, paws, and ears. The high-speed motor does 7,200 strokes per minute, for a quick and comfortable shave. The U-clip design is powerful and fast yet not noisy and helps the clipper not to heat up during operation. What’s more, the clipper is adjustable, and you can use blades of different sizes. It is a 16 piece tool kit. It is backed by a 30-day satisfaction guarantee. It is a 16-piece tool kit. The brand is limited to the USA market only. ENJOY PET Cordless Clippers are designed to clip your pet’s hair efficiently and effortlessly. The clippers have a 2000 mAh in-built Li-battery with a powerful motor with 9000 revolutions per minute. The high capacity battery has 3.7 volts with 15 W motor power. The clippers have a 7 hours battery run-time and the battery takes only 3 hours to get fully charged. In addition, the clippers are designed to be charged over 500 times(in its lifetime) and therefore they are durable. The clippers use a 33 teeth sharp blade design which is perfect for doing soft and thick hairs. What’s more, the clippers are engineered with an ultra-quiet technology of 50-60 db for stress-free shaving. Besides that, the blade adaption and silence technology reduce noise by reducing friction between blades. The package includes the clipper, a comb, and a stainless steel sharp scissor. 7 hours of battery run time. Sharp and long lasting blade. Are you shopping for perfect clippers for your heavy coated pet? These clippers are designed with a motor which has two-speed settings to suit your grooming requirements. The motor runs at 2,700 SPM on low setting and 3,400 SPM on high setting. When dealing with heavy coats, you will use the high-speed setting. The clipper is also designed to operate quietly. The clippers have detachable blades making it easy to clean and oil the blades and also change the blades depending on your trimming requirements. The clippers have a locking switch to control the Clippers' operation during trimming. In addition, the clippers are engineered with a cool-running design that acts as an anti-hair clogging mechanism. It comes with a 14 inches cord. They have a cord which has to be managed during trimming. Do you want to buy clippers that can trim small, medium and large dog breeds and cats? And also clippers that can handle all types of animal coats, including long and silky coats? 9766 Wahl Lithium Cordless Clippers are powered by a heavy-duty lithium motor for effortless and precision cutting. The clippers can handle all coat types effectively. They have self-sharpening blades. The battery has a 2 hours run time and a 15 minutes charge. The kit includes color guide combs to direct you on cutting the desired hair length. They can handle all hair types. The battery has a shorter run time compared to other brands. Isn’t it great to have a complete pet grooming kit? ENJOY PET Cordless Clippers are engineered with a quiet and low-vibration motor to ensure there is no stress to your pets during grooming. The kit comes with contour shaped skin-friendly combs, in addition to having titanium blades that cut accurately without pulling your pet's fur. What’s more, the clippers have an ergonomic handle to ensure that you are comfortable during trimming. The clippers are adjustable. Therefore multiple blades and combs can be used on them. Therefore you will use the blades and combs that suit your pet’s unique body shape and coat. The design of the Clippers makes them able to trim hard-to-reach spots. It is a complete grooming kit. Adjustable head for using multiple blades and combs. There are cheaper brands in the market. Do you want a steady, powerful and safe pet grooming kit? Sminiker Cordless Clippers are stable and powerful clippers. They are ideal for professional and home use. They are specially designed with an R-shape edge style to prevent accidental cutting of the pet’s skin. They are fitted with a powerful, quiet, low vibration 110 Volt motor that has 50db to ensure a stressfree grooming time. They have a 4 hour charging time and a 6 hour running time. The 650g clippers have a small body for easy handling by you or your children. The clippers also have titanium blades and ceramic movable blades which ensure efficient cutting. In addition, they stay sharp, are rust-proof, and they are therefore durable. The clippers come with different combs which help in leveling your pet’s hair, helping you trim the desired hair length. The kit includes a pet clipper, a nail clipper, a nail file, a rechargeable battery, an adapter, a bottle of lubricating oil, four guide combs of different sizes, a cleaning brush, a pair of stainless steel scissors and a manual. The battery runtime is long. A quiet and low vibration motor with 50db. You have to order them online because they are not available at local stores. Designed for easy and stress-free pet grooming, the Maxshop Cordless Clippers are suitable for both home and professional pet grooming. They are equipped with a motor of which the spindle is made from fine copper. Achieve precision trims with the 110V-240V 50/60Hz powerful motor that has a 50db. It, therefore, operates quietly with low vibrations, saving your pets from experiencing anxiety. The clippers are fitted with a stainless steel blade in addition to a moving blade for effective cuts and durability. The blades are detachable for easy cleaning and changing. The battery has a user time of 70 minutes with a 5 hour charging time. The clippers are lightweight at 650g. The package includes the pet clippers, an adapter, a pair of stainless steel scissors, four skin-friendly contour shaped combs of different sizes, a cleaning brush, and an adjustable clipping comb to guide you on desired hair length to trim. Multi-purpose and can be used on human hair. Short running time yet long charging time. Enjoy Pet Cordless Pet Grooming Clippers are designed to trim all coat types. The Clippers have two-speed settings to suit the type of hair being cut because tough coats require more power. These pet clippers feature a powerful 2000mAh built-in Li-battery. The battery has a long running time of 4 hours. Best of all, the Clippers have a battery indicator to alert you when the battery is running out of power. The clippers feature a detachable ceramic blade designed never to overheat. What’s more, the blade is adjustable with 5 different sizes to suit the pet’s hair type. The motor is quiet with 50-60db in addition to the blades adaption and silence technology which reduces friction in the blades. Depending on the breed of cat you own, consistent grooming of a cat’s hair is necessary. Breeds with long coats, when not groomed look so messy and can attract fleas. We will offer you three tips that will guide you when purchasing a cat’s hair clippers. What type of hair does your cat have? The type of your pet’s coat will determine what kind of motor and grooming kit you need. Please note that very long hairs will need a kit with a pair of scissors for cutting down the pet’s hair before using hair clippers. The length of your cat’s fur or hair will determine the type of hair clippers to be bought. You also need a trimmer with a blade guard. Blade guards ensure that you trim your cat’s hair to the desired level and that you do not over cut the hair or injure your cat. Most cats are very sensitive to vibrations and noise. You need to determine the decibels (dB) of the clipper you are buying. Consider buying clippers with a low decibel rating. Also, shop for clippers that don’t heat up when running. If you have no experience in shaving cat’s hair, consider taking your cat to a professional for grooming. You don’t want to injure your cat. Watch how the cat is being groomed and gain confidence slowly to be able to do it yourself eventually. Remember that clipping the cat’s hair is only part of the grooming routines. 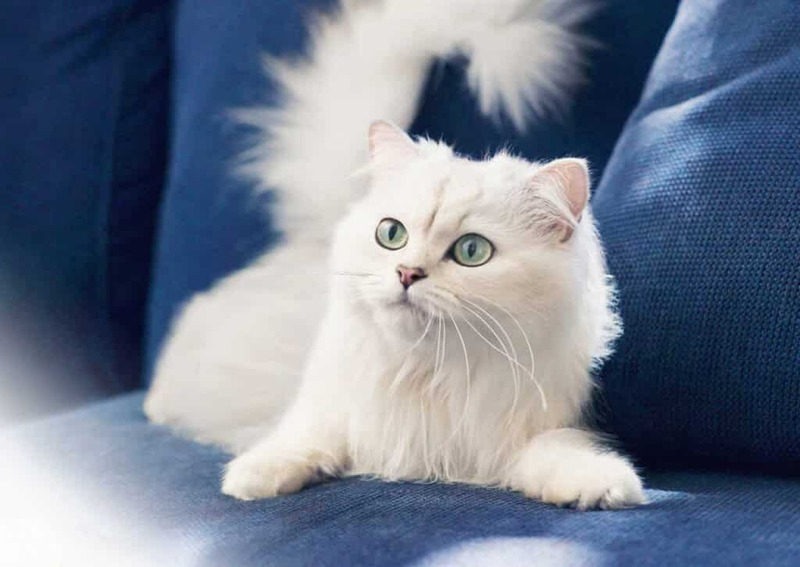 Ensure that your cat’s fur is maintained well to prevent matting. We’d like to admit that in a world full of well-made clippers, it might be difficult to find one that matches your exact needs and offers good value for money. Our editors also faced the same challenge in compiling this list but after a series of experiments and careful considerations, we settled on Wahl ARCO Professional Animal Clipper Kit. That’s because it’s a pretty powerful clipper that operates quietly and still provides you with a great variety of blades. Cat clippers are an often overlooked tool in your cat’s grooming kit. Recommended for finishing touches and essential for long-haired cats, our word of advice today is that you really need to get yourself one of these today. While at it, be on the lookout for cheaply made, poor-performing and weak clippers. Always insist on the best.